The Gap Festival started as an ambitious cultural project in 2014 aiming to bring outstanding art, music, literature and culture to the villages of Goring and Streatley. After the first Festival the word spread, audiences increased and in 2018 the third Gap Festival will bring even more artists of the highest calibre from all over the country to the glorious Goring Gap to entertain and inspire a growing number of Festival goers with musicians of all genres, authors, artists and family events. We are excited about what's in store – come and join us. 4 days of entertainment, education and inspiration. Classical music mixes with Soul, Indie and Opera. Experts in art, literature, design and more, share their experience. Sit back and enjoy or get your hands dirty and participate, there’s something for everyone. All in the gorgeous Goring Gap, a location that has inspired writers and artists across the centuries. Join us and discover something new. Goring and Streatley’s connection with the glitterati of the worlds of art and literature goes back generations – Wilde, Turner, Jerome K Jerome, Kenneth Grahame and many others were inspired by the glorious Goring Gap and it is still inspiring artists, writers and musicians today. What location could be more suitable for an Arts Festival? The Festival Team has worked hard to put together another wonderful programme of music, talks, art, workshops, comedy and family entertainment for 2018 and – as President of the Oscar Wilde Society and a Patron of the Jerome K Jerome Society and as someone who shares a birthday with Kenneth Grahame - I am honoured and delighted to continue as Festival Patron. I am also excited that I will be bringing my own new show (all about the theatre) to you as part of the Festival in 2018. I look forward to meeting you! 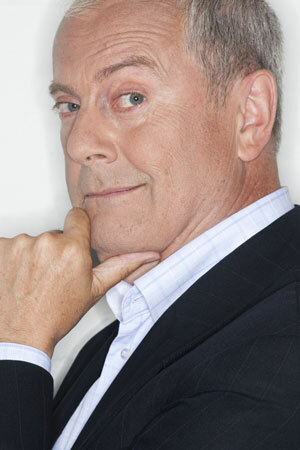 We're delighted that Gyles has once again added his support to the Festival. For festival visitors not familiar with this area called the Goring Gap, Goring, in Oxfordshire, and Streatley, in Berkshire, are separated by the River Thames, but joined by two bridges across the river. We're in separate parishes and counties but we operate as one community. All the music and arts organisations based in Goring and Streatley contribute towards the programme and so, with the added support of nationally acclaimed professional artists, the festival promotes and enriches the thriving cultural life of the Goring Gap community.